As jet lag is slowly killing me, and getting back into my normal routine is looking to be impossible, it is that time that I begin to reminisce about my amazing Paris adventures that I had last week. I was incredibly blessed to escape the rush of Sydney life and re-kindle my love for one of my favourite cities in the world. But more importantly, to try some tasty French food. So sit tight and get ready for a few posts recounting my unforgettable food experiences in Paris. I thought I would start off with the very first place we visited for lunch after hopping off our plane. 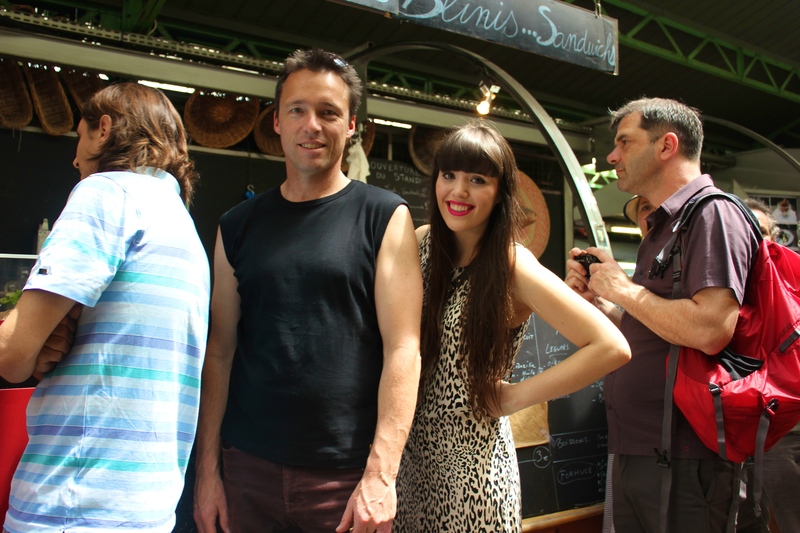 On my last visit to Paris (Winter 2012), Dad and I stumbled across a food market in Le Marais that sold the most amazing sandwiches. 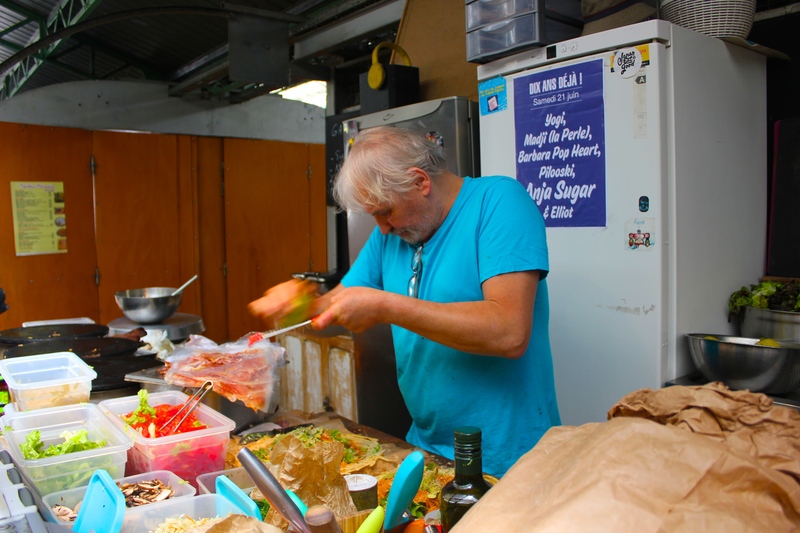 The Market is called Les Enfants Rouges which means ‘The children of Red’ which was originally an orphanage in the 16th century, but after the french revolution, it was converted into a food market to feed the people of the surrounding suburbs. 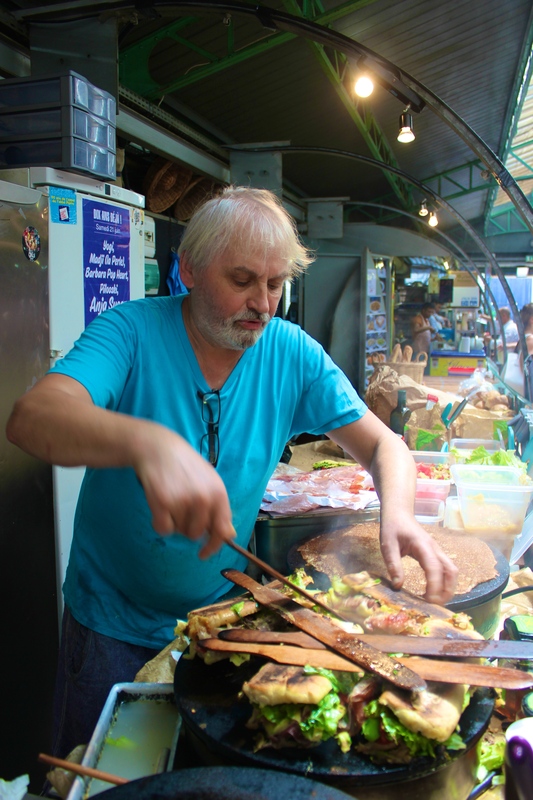 The absolute stand out food stand in this market is a shop called ‘Pains…Crepes Blinis…Sandwich,’ strange name, I know! 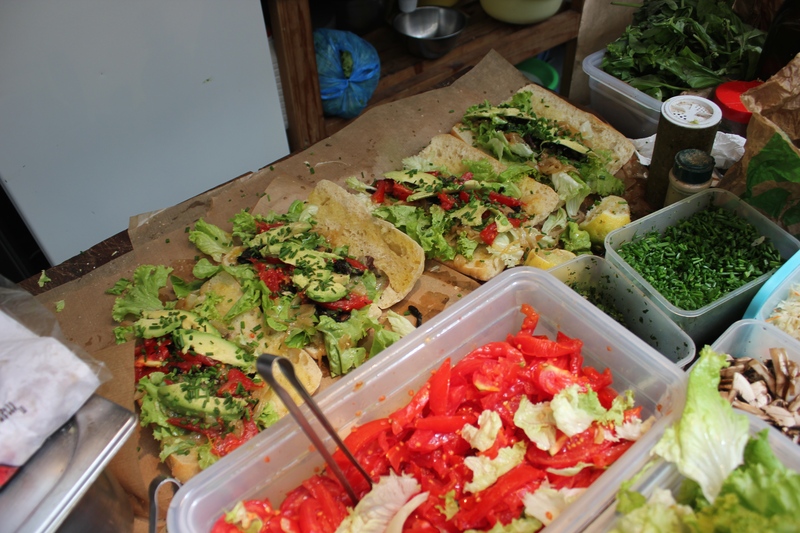 But the sandwiches produced here are too good! 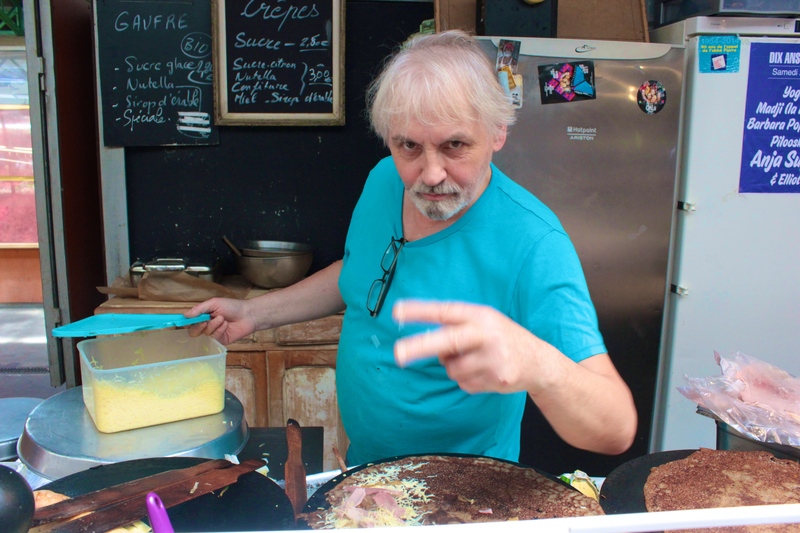 What I love about this place is the cook, ‘Alain,’ is just full of character and is hilarious. Whether he is shaking liberal amounts of salt onto the sandwiches, or shaving copious amounts of cheese into them, his generous and carefree approach to preparing his food is just so entertaining. The sandwiches that I love so much are coated in olive oil (for flavours sake, of course!) 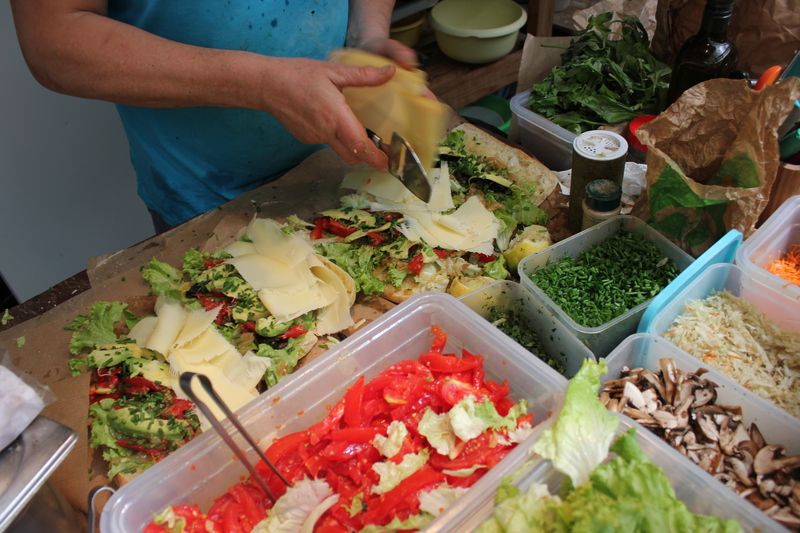 then filled with caramelised onion, tomato, lettuce, sautéed mushrooms, avocado, cheese, chives and prosciutto. They are then toasted on a crepe pan and held down with wooden sticks. I know this sandwich sounds simple, but honestly the flavour combination is outstanding, and the way that the sandwiches are so toasted that they are almost burnt is what makes them just perfect! I would definitely recommend visiting Alain if you are ever in Paris, I know for sure that I will always return to Les Enfants Rouges for these legendary sandwiches! I thought you may have added his Facebook address? 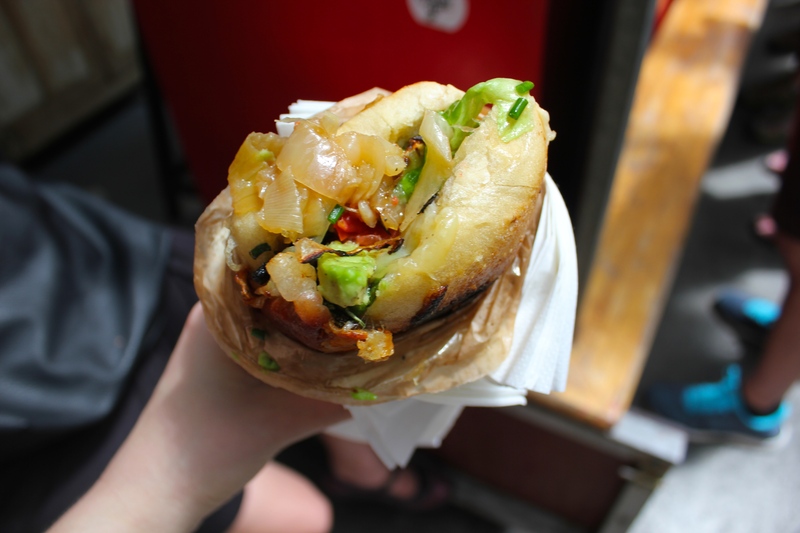 Interesting post about the ‘best sandwich in Paris ‘ … Looks delicious! His sandwiches are the best! People line up for hours to get one of these. Yum! Thank you! You can re-create it at home for now! !